We now have the current 0.5.2 release of this fork of Clementine in our test repository; the first Debian-based distro to have it, according to repology. 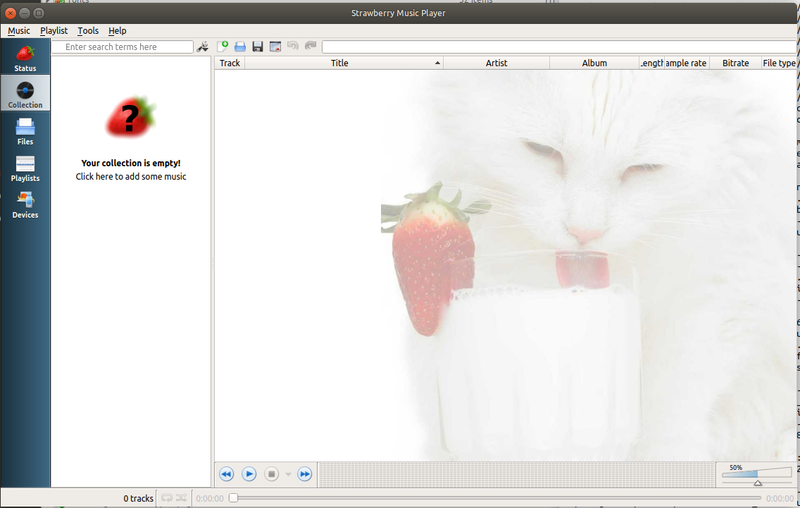 It was built using a debian folder included in the source, though that did need some changes. Please let us know how it installs and performs if you give it a try. Thanks! I got this error trying to install in MX-18, and it appears that something has removed my sources list. Last edited by Captain Brillo on Mon Feb 04, 2019 5:36 pm, edited 1 time in total. So how does one fix this? Do I have to do a restore or is there something easier to do? It installed fine on my system and so far it has been working without any glitches. yes! It works fine...I was just baffled by this mysterious file and folder evaporation. seems to work really well, now. I'd like to see this replace Clementine as default at some point as I understand that Clementine development has slowed to a crawl. There's some recent movement on their github pages, but the 1.3.1 release is well over two years old now. With the reduced use of the cloud when compared to Clementine, does that mean the loss of the ability to get lyrics or artist information about the current playing track with just one click? If so, I would be very much against it replacing Clementine, as It's a feature I use frequently. Liking this player a lot so far. All I want is a player - I'm not interested in having it connect to anybody else cuz I have all the tunes I'm interested in and I gave up on radio years ago, when "Album Rock" and stuff died. No bloat on this one. Next step is to try it on another box One of the things I've found about Linux players so far is that very few of them work on all 3 boxes here. It's curious. I have 2 similar boxes and a third quite a bit different. 2 Mint and 1 MX-18. Jajuk is pretty good, though, too, but it can be finicky with it's appearance. Good sound though. No, those still work in Strawberry.